Every little girl is a princess at heart. 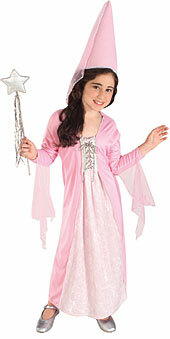 Help yours look and feel the part with this gorgeous Pink Princess costume. Comes with lovely pink dress with laced bodice detail, and tall pointed pink hat with veil.